Whether you need an experienced attorney to handle the legal and regulatory process of a JOBS Act offering, or a "quarterback" handle the details and the big picture every step of the way, Kendall Almerico has the experience and knowledge to help create equity crowdfunding or security token offering success. Kendall helped the craft brewery raise more than $7,000,000 from more than 8,000 investors using Regulation A of the JOBS Act. Kendall Almerico has been at the forefront of equity crowdfunding since the beginning of the burgeoning industry. His success in the crowdfunding realm is a product of his legal and marketing experience, his passion for helping companies grow, and his common sense approach to his work. His experience with the JOBS Act has thrust him to the forefront of the securities law compliant token offering and coin offering worlds. Regulation A of the JOBS Act (also known as the Mini-IPO or Reg A+) allows a company to use online equity crowdfunding to raise up to $50,000,000 in new capital, online, from anyone in the general public, not just the rich and well-connected. Read more about Regulation A here. 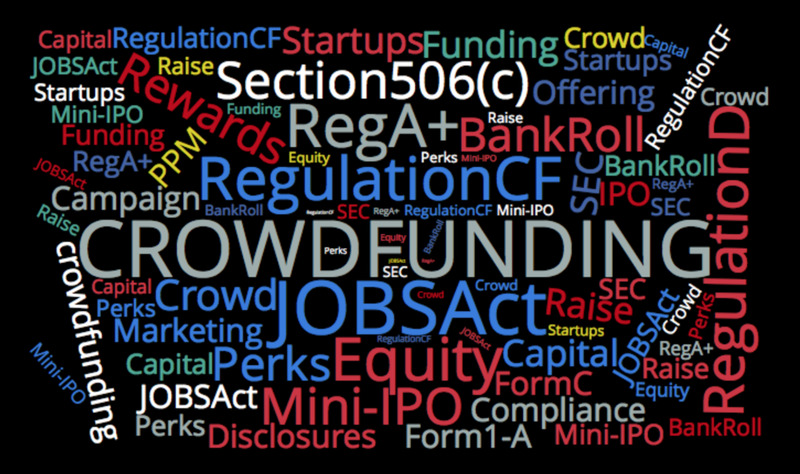 Regulation CF of the JOBS Act brings equity crowdfunding to startups, allowing them to use online equity crowdfunding to raise up to $1,070,000 in new capital through a licensed funding portal. Anyone can invest, not just wealthy accredited investors. Read more about Regulation CF here. The JOBS Act changed the way a company can raise capital through Regulation D private placements by allowing companies to raise funds online from accredited investors and legalizing advertising of the offerings ("general solicitation"). Read more about Regulation D, Section 506(c) here. BankRoll (www.BankRoll.Ventures) is an online platform for companies seeking funding under Regulation A and Regulation D Section 506(c). BankRoll, founded by Kendall Almerico, combines a user-friendly interface and the expertise behind the scenes to help businesses implement their JOBS Act equity crowdfunding strategies.